$5.00 for each (maximum 3 samples). • Pre-Mixed Frame Colors in Units of 12pcs. 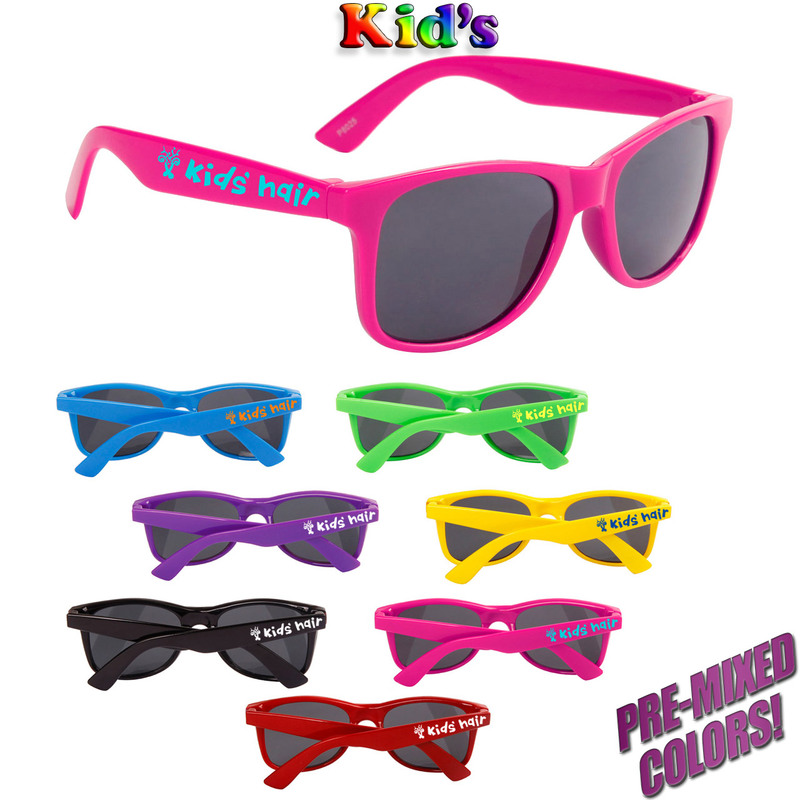 This model of Personalized Sunglasses for Kid’s is a pre-mixed set of seven bright colors; with a high gloss finish. This model also has a very nice temple for imprints! 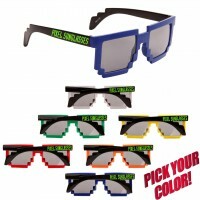 Similar to the super popular wayfarer style, these will be a hit with both boys & girls! 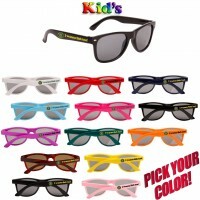 Printed Kid’s Sunglasses are used frequently by Optometrists, Day Cares, Pre-Schools! Another favorite use is celebrating birthdays! Our prices are so low you can afford to have a personalized special keepsake for your little guys & gals! If you’re thinking of getting personalized sunglasses for kids, take a look at our Instagram profile for inspiration! IMPRINT AREA 2 1/2" x 1/4"
Shown Here is the printable area for all of our Personalized Sunglasses for Kids. 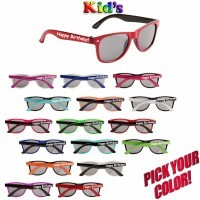 Assorted colors included in Personalized Sunglasses for Kids Classics model P8025. 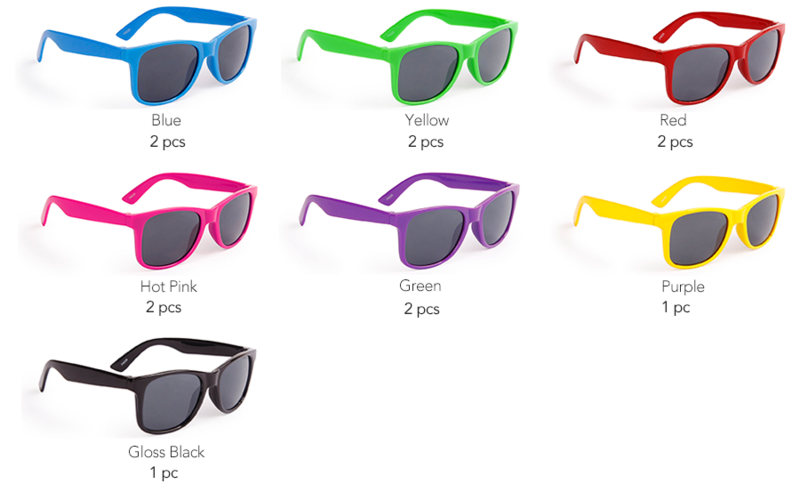 Sold in 12 piece units, shown below is an estimated quantity of frame colors included.